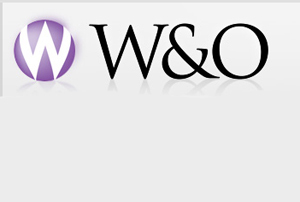 W&O Events´ revenue was up 8% this year, according to parent company Western & Oriental´s financial results for the year ended 30 September 2009. W&O Events´ revenue grew to £21.4m in 2009 compared to £19.8m in 2008. Western & Oriental´s pre-tax profit was £14,000 for the period compared to a pre-tax loss in 2008 of £4.2m. The company´s overall revenue fell by 8% to £57.6m compared to £62.7m in 2008. Western & Oriental chairman David Howell said: "The group's decisions to significantly reduce the cost base at the end of the 2008 financial year and integrate the product offerings, coupled with a degree of consumer confidence post August 2009, allows the board to view 2010 with some increased optimism." The trading year had dominated by the credit crunch, the global financial crisis, the decline in the value of sterling and health scares caused by wine flu, Howell added in a statement. The company´s forward bookings at 30 September 2009 amounted to £18.5m compared to £25.7m in 2008, partly due to a number of events clients reducing their plans for 2009 and 2010, especially in the automotive and financial sectors, he added. W&O Events account director Mark Nevill was made redundant in August, and was among several senior-level staff redundancies at the agency this year, following the merging of Lynton Cooper, Eclipse Conference Management, and Travel Management Team to create a single event agency, W&O Events.